If you’re booking your Winter holiday yourself rather than opting for a package deal, then you need to remember not only flights, ski or board hire and lift passes, but also transfers from your chosen airport to your resort. Having been operating since 2003, the company boasts many return customers due to their excellent customer services, flexible and honest pricing, best range of destinations, bespoke service and their quick and easy booking system. Click here for a quick quote from a variety of airports to resorts. 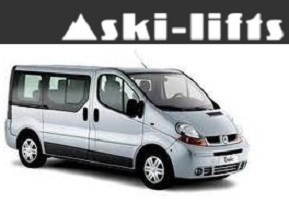 We are happy to be Ski-Lifts supplier for transfers from Innsbruck Airport.